Bank of America-Merrill Lynch believes it’s premature to call an end to the market correction. Although stocks on Friday closed out 5 straight weeks of gains, Stephen Suttmeier, the firm’s chief equity technical strategist, is telling investors that stocks are still in the throes of a cyclical bear market. 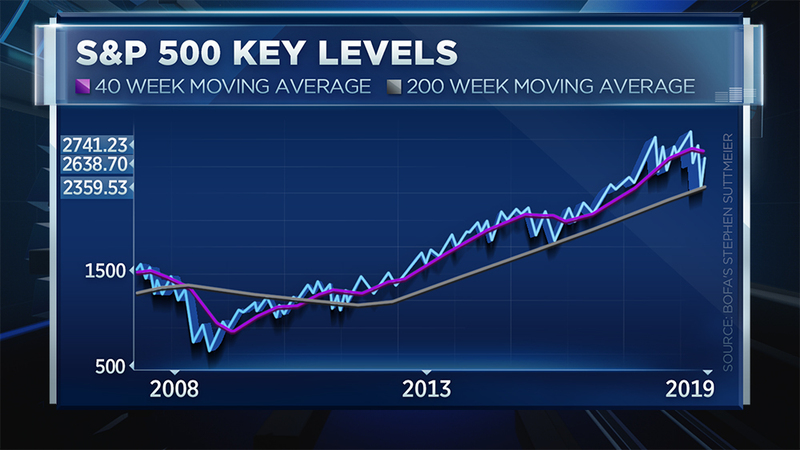 According to Suttmeier, the S&P 500 must break through its 40-week moving average for the trend to turn bullish. He turned to two charts to build his case. The first: A chart of the S&P 500 Index. Suttmeier is now focusing on another important level. “We got to get through that 40-week moving average which right now is right around that 2740 level,” he said. Suttmeier is confident the market will get there this year, but he cautioned that stocks are vulnerable in the meantime to another near-term pullback. “My guess is we form a higher low above 2346,” added Suttmeier, a number that’s almost 13 percent below current levels. 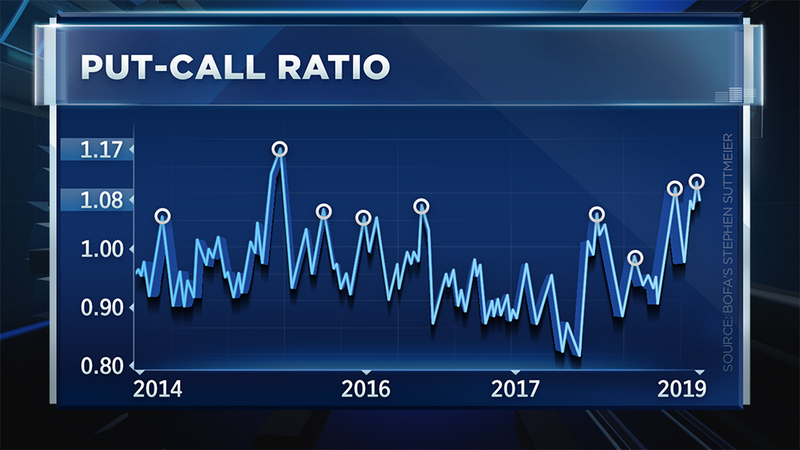 His second chart examines sentiment in a chart of the put-call ratio, which is often seen as a contrary market indicator. Regardless of whether there’s a significant pullback or not, Suttmeier sees the bulls regaining control of the market by summer.